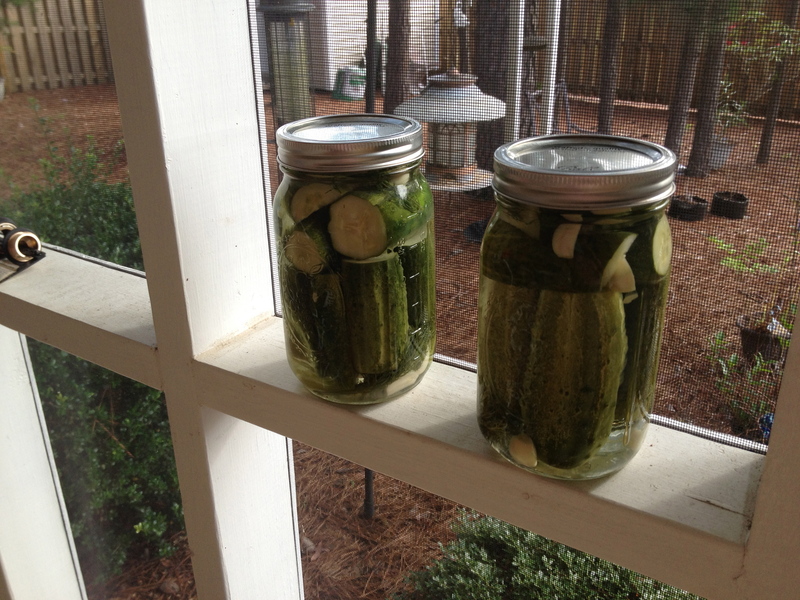 Last year I decided to make Kosher dill pickles. Not just any dill pickle – I wanted to recreate the pickles I remembered and loved from Duke Ziebert’s restaurant in Washington, DC. It was one of those iconic places. You will always remember it. At Duke’s it was Duke himself. A larger than life character who made everyone believe he remembered them and was so happy they came back. Then there were the onion rolls – warm and so flavorful. But I loved the dill pickles. 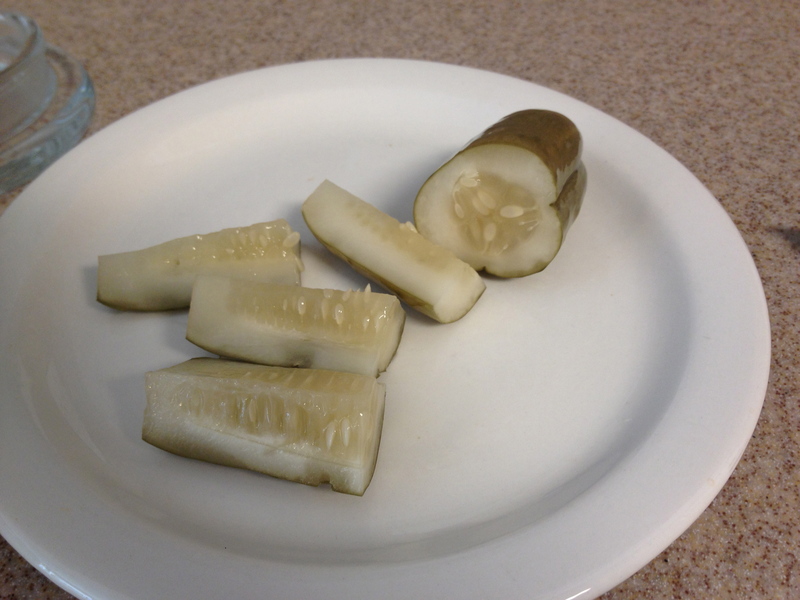 Every meal started off with a plate of big fat dill pickles that you cut yourself. Some insisted that they had to be cut in spears, others chips, I imagine some may have picked up the whole pickle and started munching. I didn’t care how they were cut, I just loved the strong garlic dill taste. I searched the internet for recipes that sounded like they would give me something at least close to Duke’s. Most recipes were for pickles that got canned with the traditional water bath method. What I remembered was bright green fresh looking cucumbers. I was sure they must have been prepared in the refrigerator. After all as many as they went through he had to have a constant supply. 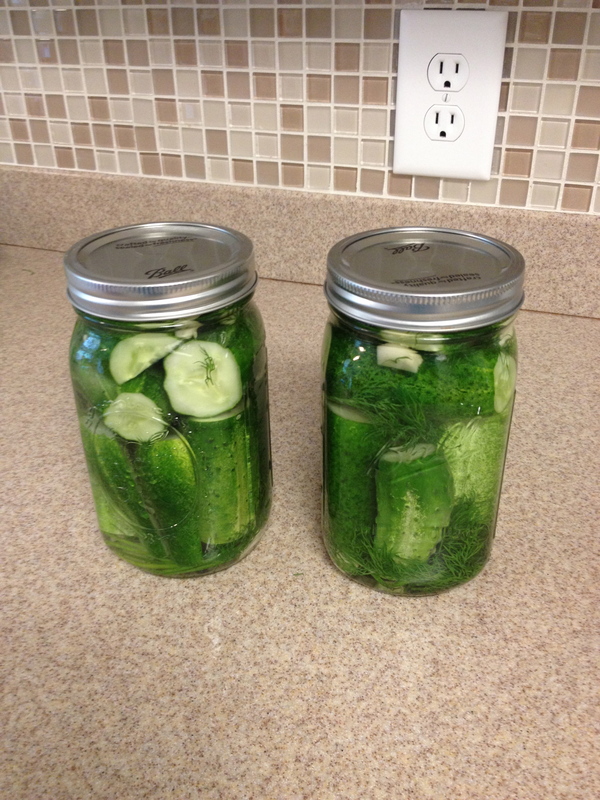 After searching some more I found some recipes where the cucumbers were fermented a few days then refrigerated. That must be how he did it. Surprisingly, these were still crisp and delicious – just lost the bright green color. 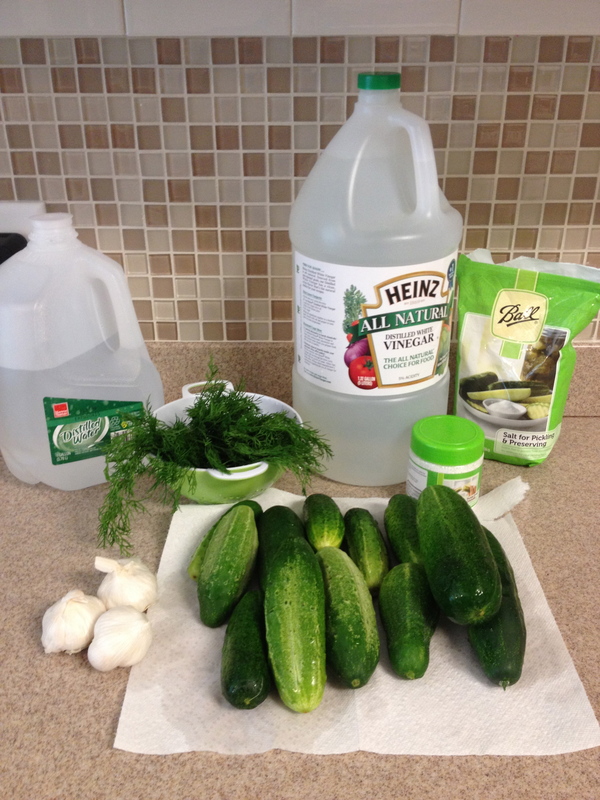 We have several pounds of cucumbers, fresh garlic, fresh dill, distilled water, vinegar, pickling salt and pickle crisp. My mason jars are sterilized in boiling water while the tops are in another pot of simmering water. In the meantime, make your brine by combining distilled water, pickling salt and vinegar – use 1/4 cup each of salt and vinegar per 6 cups of water. 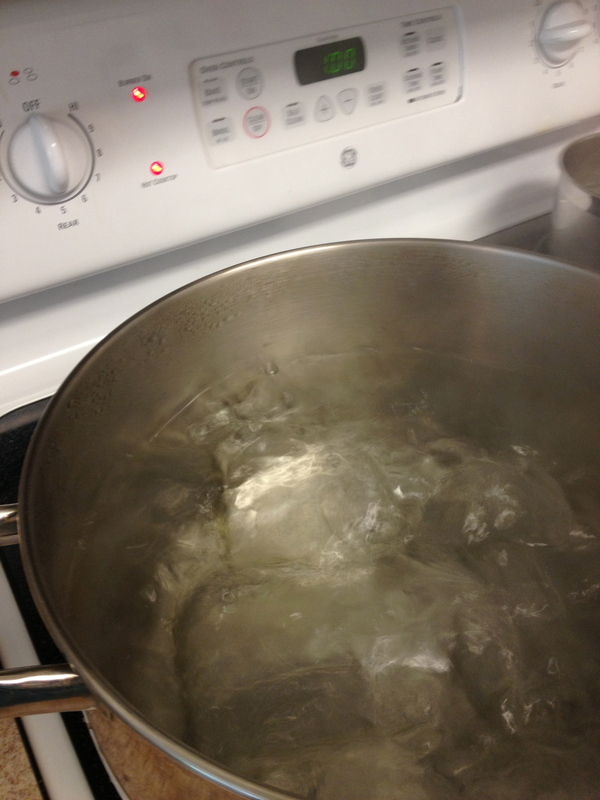 Bring the mixture to a boil and then allow to return to room temperature. Now to each jar add about three cloves of garlic and a few sprigs of dill, pack in your cucumbers either whole or cut – your choice. I left the ones on the bottom whole but cut the top layer to get more in the jar. Now add a few more cloves of garlic and some dill plus about 1/4 teaspoon of pickle crisp granules (optional). Cover completely with brine and put in refrigerator four plus days. Most recipes will tell you that the refrigerated pickles will last for weeks but my experience has been they last a lot longer if you happen to make too many. Although these are so good you won’t get a chance to test this. 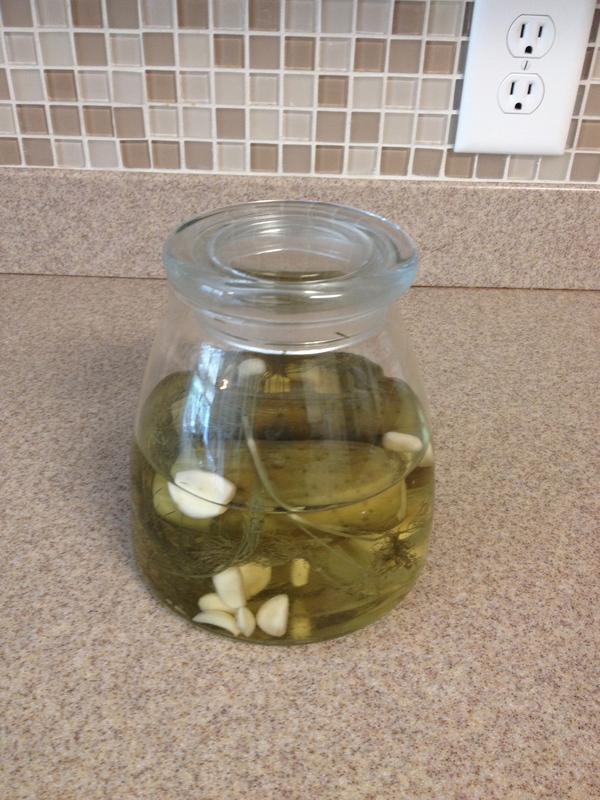 Another option is to allow the jarred pickles to sit on a window sill or porch where they have a temperature of 80+ for a few days and you have fermented (aka sour pickles). These would then go in the refrigerator after fermentation. 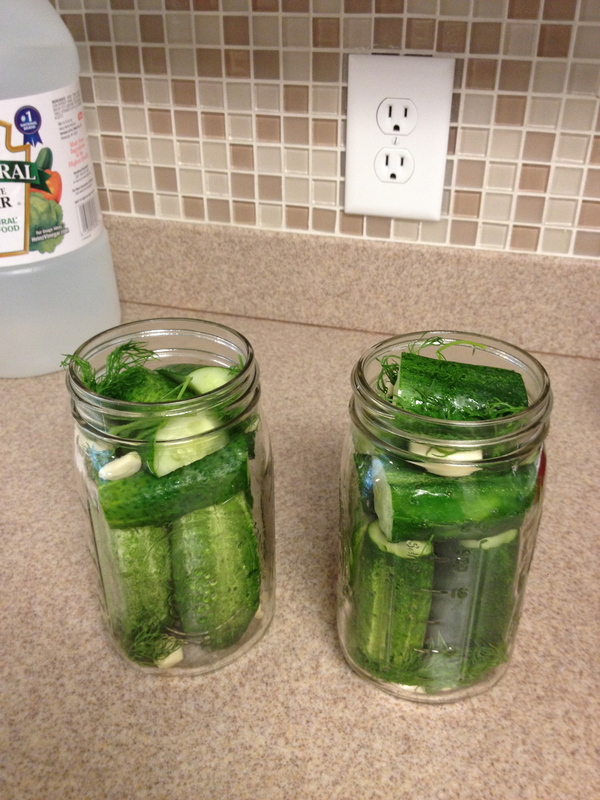 Since I have an abundance of pickles this year I am trying both ways. Then the next pickle project is going to be bread and butter pickle chips for my granddaughter.